Running is an activity that has been a fundamental part of my existence since those haunting days at school where no PE kit generally resulted in either being ordered to do it in your undies or select some odious pair of long forgotten gym shorts from the ominously smelling lost property box. Thankfully as the years advance running becomes more of a personal choice as apposed to an enforced activity and as such running has generally remained one of the few things I am quite good at. Whats great about running is that it doesn’t involve the need for great skill, you can do it on your own, and apart from a good pair of trainers its not an overly expensive sport to participate in. Furthermore it is universally agreed that physical activity is particularly effective in fighting the symptoms of depression and anxiety, and therefore due to runnings relatively accessibility compared to a gym membership you’ll use twice in January, or the latest pilates-boxercise craze that will soon be replaced by the latest yoga-boxercise craze, you can just get up, put your trainers on and leave the house. There’s no faff involved and with just 20-30 minutes twice a week you’ll be fighting fit both mentally and physically before you know it. However should you randomly decide you want to run across the Sahara Desert you may oddly find yourself wistfully hankering for those glorious days of running around in your undies or someone else’s discarded kit. 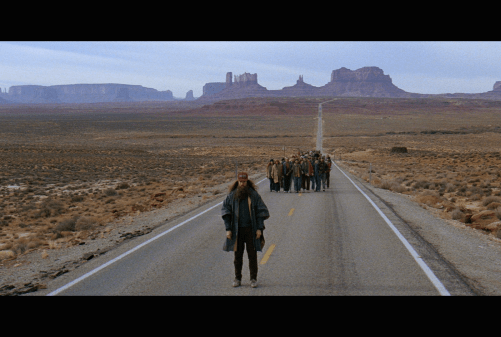 Unfortunately as appealing as those memories may now seem, they were not an option, it was time to heed the surprisingly common, and not overly original, mocking I have regularly received down the years from many a passing motorist “Run Forrest Run”. Second most common thing to be yelled, and not quite so quotable or as imaginative being, “Oi”! With the latest “Run Forrest Run” being yelled in my general direction, I was up and running. Progress was slow and painful, and although I didnt experience any serious injury I was beginning to creak and groan more vociferously than the entire membership of the local Lawn Bowls club. But despite my various aches and pains the mileage kept going up and although 100 miles a week was looking less and less likely, I knew I was pushing it as hard as my body would let me. *Note: Jon didnt actually run to Gatwick Airport, it just sounded more adventurous than getting a lift in his parents Fiat 500. Donate here [Just Giving] World Vision – The Worlds largest Childrens Charity which fights abuse and offers international disaster relief for children. WV has an exemplary track record of transparency around their finances. With 84% of every pound going to directly to charitable activities: . Donate Here [Just Giving] The Youth Sports Trust – A UK based organisation that use’s sport to change young people’s lives. Such as the ‘Girls Active’ initiative which looks to tackle the negative image young girls have about their bodies. Donate Here [Just Giving] Jon E Cassell – In addition to the primary objective of inspiring others and raising money for two organisations that are dynamically trying to shape the world in a positive way Jon also needs to raise £3500 to cover a portion of his own expenses to enter the race. However whilst covering these costs are ultimately important we dont want this request to detract from what we have said above, hence why we have mentioned this last.